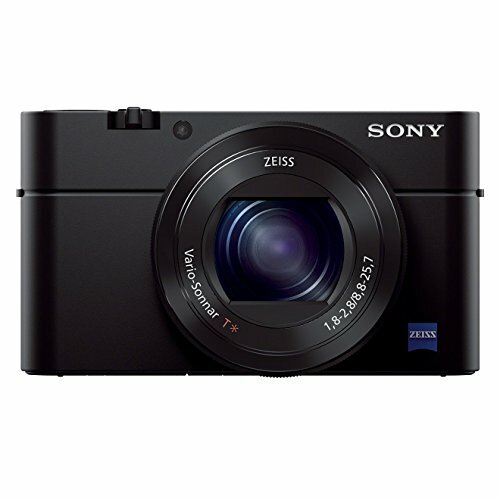 If you want a pocketable high-end compact camera that offers it all, it looks as though Sony may have finally cracked it with the Cyber-shot RX100 III. This third-generation model delivers a large 1-inch sensor size, but rewrites the earlier RX100 rulebook with a new 24-70mm f/1.8-2.8 equivalent lens. It even squeezes a built-in retractable electronic viewfinder into the mix. It all sounds great, until you cross eyes with the £700 launch price. But in the order of things Sony gets away with it: with Canon and Nikon failing to offer inspirational pocketable high-end compacts - and the larger-sensor models they do are more expensive and not as well specified - the RX100 III looks to be a step ahead. Is it worth scratching together the heap of cash required to buy one and, indeed, is the RX100 III the new king of compacts? If you've been following the RX100 series since conception then you'll understand the premise: a pocketable compact with considerably larger-than-average sensor for premier image quality. The second-generation model, released a year after the original, updated the sensor, added a built-in hotshoe for accessories, and introduced a tilt-angle mechanism to the LCD screen on the rear. Both are still available at considerably smaller price points than they each debuted. Enter the RX100 III and, again, there's another new sensor update despite retaining the same 20.1-megapixel resolution, but the new model does away with the 28-100mm equivalent lens of its predecessors and instead opts for a faster 24-70mm f/1.8-2.8 equivalent. This wider-angle but shorter top-end zoom in conjunction with the new retractable 1.44mm-dot electronic viewfinder makes it the most comprehensive of the trio. But also the most expensive. After fishing the RX100 III out of its box its build quality is immediately evident. The sturdy metal chassis has a reassuring weight to it which, at 290g, isn't excessive. Although the Mark III model's 41mm depth is slightly wider than the Mark II model - there's an extra 5mm - its still slim enough to slip into a pocket or bag. That's among the RX100 III's most appealing features: it's not chunky like a Canon G12 and is smaller than the Fujifilm X20. The small size can have its downsides, though, particularly the small scale of the buttons on the rear. They're perfectly usable, but we did find the rear d-pad's proximity to the LCD screen's raised edge was an annoyance and much the same can be said for the small function (Fn) button. The Fn button is wonderfully useful though. Use it to bring up the on-screen quick menu, and it's now possible to access up to 12 different settings rather than the maximum of seven in the earlier Mark II model. A good step forward. There's no touchscreen feature though, so you'll need to learn to get on with those small scale buttons. Despite the £700 price tag niggling at our brains, the more we've used the RX100 III the more it's come to make sense. It's £50 more than the RX100 MkII was at launch and for the price difference (even though the MkII is a lot more affordable now) you get a great built-in electronic viewfinder which, in our minds, elevates the series to a level of completion. We would most likely always opt to use this Sony over the pricier Canon G1 X plus viewfinder accessory on account of physical size. To use the finder simply tug at the switch to the side of the camera and the viewfinder pops up from the body. That's stage one, after which you will need to pull a section of the finder out in order to align the elements to achieve sharp preview focus. It would be better if the process was a single process procedure, but we can live with the two part "assembly" - it's quick and easy. The process of raising the viewfinder can be used to switch the camera on, while pushing it back down into the body will - annoyingly - turn the camera back off again. We'd like the option to control this from within the menus as we don't always want the finder exposed due to its eye-level sensor meaning the rear screen will switch off if anything is too close to that sensor. Useful when raising it to your eye to use it, of course, but not always desirable when not, hence sometimes wanting to stow it but keeping the camera in use. The viewfinder is decent too and we've got on well with the side-positioned alignment as it's avoided the typical face-mash clash of nose and LCD screen. Fully electronic, the 0.39-inch scale and refresh rate is ample to deliver a clear image throughout. Principal to the RX100 III is the new 24-70mm f/1.8-2.8 lens. It's an interesting choice because it trims back the maximum focal length compared to the earlier models, but also offers a wider angle 24mm equivalent - trumping the more limited 28mm equivalent that was prevalent before. Some will find the lack of long-end reach a drawback, but then this isn't a superzoom and a longer lens wasn't going to be viable at this scale. The new construction has been opted for because it means a much faster maximum aperture is possible throughout the range. The maximum f/1.8 is only available at the widest angle 24mm, incrementally dropping to f/2.8 from the 32mm equivalent and beyond. So for the most part it's an f/2.8 lens. But that's a big difference that puts more available light at your fingertips and means more control over blurred background results and the camera settings used in capture. Just like the earlier models in the series the RX100 III's smooth-rotating front lens ring is a highlight for adjusting settings or manual focus. Typically we shoot in aperture priority mode, so the ability to glide between aperture settings using it is great - although a considerable amount of turning is required to shift from wide open to the smallest aperture, particularly as apertures are shown in 1/3 stops. The lens ring also can't be set to "click" like the Olympus Stylus 1's dual setup can - it's smooth rotation action only. The step zoom feature also makes a return, activated from within the menus and means you can jump between the classic focal lengths - 28mm, 35mm, 50mm and 70mm - in double-quick time. It's useful as the toggle control around the shutter button to control zoom doesn't exactly fly through the range. On the rear of the camera is the 3-inch, 1,229k-dot WRGB LCD screen that's now mounted on a 180-degree tilt-angle bracket. That's Sony getting in on the selfie craze by enabling the screen to tilt all the way up into a vertical position. We didn't use it much for this particular purpose, but for a 90-degree waist-level position we used it a whole lot. Very useful. New for the Mark III model is also a neutral density (ND) filter, complete with auto mode. We think this is a great addition, especially when shooting at those wider apertures in bright conditions. It's the first time we've spotted an "auto ND" option in a camera that we can recall, which is great, but the filter can also be manually set to on or off from within the menus. When it comes to autofocus the RX100 III offers the same multi-area auto, centre-only and user-defined flexible spot autofocus options as its predecessor. Autofocus speed is great in good light, but it's no more advanced than its predecessor. That's a double-edged sword: it's good enough, but in an ever-advancing world it's not the snappiest out there when in less-than-bright conditions. An alternative, more affordable - but physically larger and interchangeable lens solution - option might be the Panasonic GM1. When things get much darker the typical Sony "perforated-edge green box" appears, meaning an absence of specific user-assigned focus area and a more generalised focus as a result. As we stated in the Mark II model review we would still also like the ability to adjust the AF point size for increased pinpoint accuracy. We found shooting close-up delivered good results, although the 5cm-from-lens focus at the 24mm wide-angle setting does quickly drops to 30cm-from-lens at the 50mm setting. When shooting flowers we sometimes found this frustrating, as the camera would often continue to seek focus, sometimes presuming to have acquired it when that was not the case. A bit of cropping in post worked to our advantage, which is a benefit of huge 20-megapixel images, but we suspect such limitations are put in place to avoid softness often prevalent with wide apertures in close-up situations. Manual focus sees a push forward, with the addition of zebra joining the focus peaking option to assist with finer focus. The smooth rotation of the lens ring provides heightened accuracy, while an 8.6x digital magnification shows an enhanced focus area on the rear LCD screen or in the viewfinder for added focus perfection. Sony has finally added an improved focus distance meter too (minus depth of field) rather than the pictorial "mountains and flowers" one of earlier models. Add DMF manual focus override and precise focus is always available at your fingertips. Overall the Sony RX100 III performs just as well as its predecessor, better on account of its faster aperture options. However this is a £700 camera so there's a lot of expectation behind it and we would have liked to have seen a more significant push in speed. As has always been the case with the RX100 series, the third-generation model does a sterling job when it comes to its images. Indeed it's the best in the series yet and not just because of its sensor and new Bionz X processor, but because of the new lens. It's hard to believe such a small camera can deliver images with such clarity and its results clear many of our minor performance quibbles. This particular 1-inch sensor isn't brand new, as we've already seen it used in the Panasonic Lumix FZ1000 premium superzoom camera to great effect. In the RX100 III it's a similar story: at low ISO settings there's stacks of detail, but as the Sony offers wider aperture options you'll be less likely to need to opt for higher sensitivities. Even when such high sensitivities need to be used, the results are still impressive. Shots at ISO 1600 show little disruptive image or colour noise and there's still plenty of detail. It's this kind of performance that puts the Sony leaps ahead of a standard compact. The new extended ISO 25,600 setting is a step too far in our view, but we all but ignored its presence as it's not of great use. Shoot up to ISO 3200 with few qualms though. There's a lot more grain visible in raw files, as is to be expected, but there's also more visible detail too. Take the highlight areas of a flower petal, for example, and there's a stack more colour and smoother gradation in the raw shot, even if it lacks the "boosted" exposure and contrast of the JPEG equivalent. A sensor of this size also gives the benefit of increased maximum depth of field control. Blurred backgrounds are no problem to achieve and the bokeh effect is nicely rounded. That's the ultimate reason to buy into the RX100 III: it delivers image quality as good as or better than the nearest competition, including the Canon G1 X MkII. Our main moan is that Sony's Auto ISO isn't particularly intelligent. When snapping moving subjects we often found it wasn't quick enough to bump the shutter speed, so when photographing a dog in the park even casual movements in daylight led to subtle blurring. Easily countered with a faster shutter speed in shutter priority, though, we're sure. The Sony Cyber-shot RX100 III adds key features that were absent in its predecessors and is the camera to shake up the high-end compact market one again. It's the benchmark pocketable camera to beat. We love the new built-in electronic viewfinder, the tilt-angle LCD screen, the lens ring's smooth control and the newer, faster lens. We're less keen on the physically small controls and the autofocus really ought to be more effective in all conditions, but we can forgive that as similar competitors are no better and the excellent image quality ensures the camera stands out in the category. The RX100 III isn't a subtle re-rub of the known formula, it's a rethink for the better and one that further elevates Sony's position in the premium camera market. If pocketable is priority then the RX100 III is the best of the bunch. Assuming you can afford it - but then it is worth saving for.